Ithala has become a favourite with tour guides who are familiar with all the reserves in KwaZulu-Natal. It’s location makes the journey from Durban longer, but the rewards are astonishing to the national and international traveler alike. Overlooked by the Ngotshe Mountains, the deep valley is a game viewers paradise, with a spectacular array of wildlife species. Some of the oldest rock formations in the world are found at Ithala, dating 3,000 million years. There are also many sites with evidence of stone age man, dating 20,000 years. The altitude varies from 450m to 1450m, so there is a great variation in terrain, including lowveld, highveld, grassland plateaus, ridges and cliff faces. The Hluhluwe Umfolozi Park is the only park under formal conservation in KwaZulu Natal where the Big Five occur. Established in 1895, this is the oldest game park in South Africa along with nearby St Lucia Reserve. Set in the heart of Zululand this is the oldest game reserve in Africa, where Zulu kings such as Dingiswayo and Shaka hunted and put in place the first conservation laws. Today, Africa's 'Big Five' (lion, elephant, leopard, buffalo and rhinoceros) stalk the flourishing savannah.Game viewing is the principal attraction in the Hluhluwe Umfolozi Game Reserve. Viewing hides overlook pans and waterholes enabling one to observe the wildlife at close range. As the home of Operation Rhino in the 1950s and 60s, the Hluhluwe Umfolozi Park became world renowned for its white rhino conservation. Other areas of focus for which Hluhluwe Umfolozi Game Reserve is famous include wilderness trails which originated in Umfolozi in the 1950s and its renowned Game Capture unit upgraded into the Centenary Capture Centre, a bench mark for animal capture and sustainable utilisation throughout Africa. The Park covers some 96 000 hectares and contains an immense diversity of fauna and flora. Hluhluwe Umfolozi Reserve is characterised by hilly topography and the northern section of the game reserve is noted for its wide variety of both birdlife and wildlife. Apart from game viewing drives there are self guided auto trails which provide information on both the management and natural history of the Hluhluwe-Umfolozi game reserve. Guided walks can be especially rewarding in the early morning and late afternoon. There is a 40 seater boat on Hluhluwe dam which takes visitors on guided trips twice a day. The trips are conducted by an experienced community guide and visitors can see an excellent range of birds and animals within the park while the Zulu culture is covered in the community areas outside. Rich in culture as well as natural beauty, St Lucia has many wonderful tours and activities to choose from making it the ideal getaway for everybody. Get a unique insight into the traditional culture and customs of the proud Zulu nation on this guided excursion to the largest Zulu kraal in Zululand, which includes lunch. Sample traditional Zulu beer, marvel at the energy and rhythm of the Zulu dancers, witness the building of a Zulu hut, and appreciate the artistry of fashioning traditional weapons and crafts. Visit an iSangoma – a traditional healer. 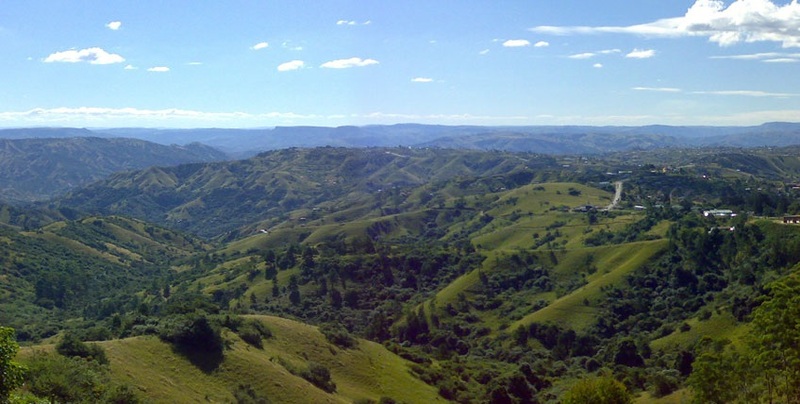 The Valley of 1000 Hills Route is one of KwaZulu Natal's best kept secrets. The Valley of a 1000 Hills forms around the majestic valley created by the Mngeni River and it's tributaries. Many artists and crafters have been attracted to the beauty and tranquility of this area which is dotted with cozy guest lodges, friendly pubs and tea gardens with sweeping views over the hills and dams. The main attractions on the 1000 Hills Experience are the dramatic landscape and Zulu culture which is well interpreted at three cultural villages. The 1000 Hills Choo Choo offers steam train trips from Kloof station to Cato Ridge on weekends and the more adventurous can view the stunning scenery from the skies. Microlight flips are organised from Cato Ridge Airfield. There are also boat cruises on Shongweni, Nagle and Inanda Dams and visitors can spend a day on a fishing trip or escorted 4 wheel drives through the Valley Floor. Vally of thousand hills Mahatma gandhi Town ship Tour.